How do I get the Vietnam Visa on Arrival? After receiving your payment confirmation, we will send your visa request to the Viet Nam Immigration Department in Hanoi (A18). They will issue Approval Letter which can be considered as the legal allowance of A18 for your entry. After obtaining the approval, we will forward you a copy by fax or email. Copies of the same document will be forwarded on your behalf to the Vietnam Immigration checkpoints at International Airports only, so that when you arrive in Viet Nam, the Immigration officers will have those documents on hand and will be able to issue your entry visa expediently. Do I have to provide an exact date of arrival? You could provide us the proposal arrival date and make sure you will come to Vietnam on that date or some days later but not earlier. How to apply for a Visa approval letter? What are the steps of applying for a Vietnam visa? Visa Code is the code which will be given to Vietnam visa applicants. With this code, travellers can get the Vietnam visa stamped onto their passports at the Vietnam Embassy/Consulate in their country. This means the travellers will get their visas before traveling to Vietnam. To apply for a visa to Vietnam, your passport must be valid for at least 6 months. Therefore, please re-new your passport before making a visa request. The "Visa approval letter" is a letter issued by the Vietnam Immigration Department that allows you to enter and exit Vietnam for a given time period. With the approval letter, you can pick up your visa upon arrival at one of the three international airports in Vietnam (Hanoi, Ho Chi Minh City, Da Nang, and Nha Trang). What is the difference between single entry and multiple entry visa? Single-entry visa will allow you to enter and exit Vietnam ONCE within the period states on the approval letter. In case you would like to enter Cambodia, Laos or any other country from Vietnam and then re-enter without having to apply for a new visa, you will need a multiple-entry (or re-entry) visa. Vietnam Visa on arrival - what is it all about? Vietnam visa on arrival online is the easiest way to obtain your visa without having to chase down Embassies and Consulates. Your passport will be stamped when you pass through Vietnam Immigration check point. With this type of visa, you only can enter Vietnam by air. Are there any remarks with this type of visa on arrival? Yes, visa on arrival is NOT VALID for OVERLAND ENTRY. The four international airports in Vietnam that you can receive your visa stamp with this approval letter are: Noi Bai International Airport (Hanoi), Tan Son Nhat International Airport (Ho Chi Minh City), Danang Airport (Da Nang), and Cam Ranh International Airport (Nha Trang city). Are there any visa exemptions? Normally, the approval letter is processed within two (2) business days (excluding Saturday, Sunday and National Holidays). In urgent cases, it can be processed within 4-8 working hours. Upon arrival at the airport, expect to fill in a simple form to fill in. Please remember to bring at least 2 passport-sized photos (04*06cm), 25 USD/person for stamp fee per person (1 month single). You can expect the process to take about 15 minutes totally. Can I use this approval letter for entering Viet nam by overland? This kind of approval letter is valid for air entry ONLY. If you intend to enter Vietnam by land, you are suggested to have the approval code in advance from us and then bring it to the Vietnam Embassy to ask for the stamp. • Your Visa Verified password / MasterSecure Code were entered incorrectly. Our company and our bank are responsible for your credit card data’s. We are using the secure software to keep all the submitted online data on the secret. Which payment methods do you accept for a business visa on arrival? We accept payment through Credit card by using Paypal or Onepay system, including Visa, MasterCard, Amex, JCB. In this case you have to keep us informed about this immediately to resubmit the application or get a new approval letter arranged. Can I travel without the letter and get the tourist visa when I arrive? You are not allowed to check in your flight without the approval letter. In case you get through it, this will be big trouble for you at the airport upon your arrival to Vietnam. With the approval letter, you are agreed to enter Vietnam via 4 international airports. They are: NoiBai Airport in Hanoi, TanSonNhat Airport in HoChiMinh City, Danang Airport in Danang City, and Camranh Airport in Nha Trang city. What if I change date after I got my visa on arrival to Viet nam? It is no problem if that date is after your proposal date and within the validity date of approval letter that you are accepted to enter Vietnam. 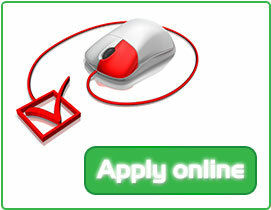 If not you are required to apply for the new approval letter with your new arrival date. Yes, it is. Visa on arrival is officially issued by the Vietnam Immigration Department (Vietnamese Government), and therefore it has the same validity as the visa you get from any Vietnamese embassy abroad. "Visa on arrival" is stated in the Immigration Laws of Vietnam Article 24, 1999, clause #6, Chapter II. Why don't some aerial companies let us board the planes? Is there any new law regarding the VOA policies? There's nothing wrong with going to Vietnam with your VOA in hand. If you want to be sure, please print out this page and show it to the flight company that you're going to use. The VOA is always legitimate according to Article 6, case C.